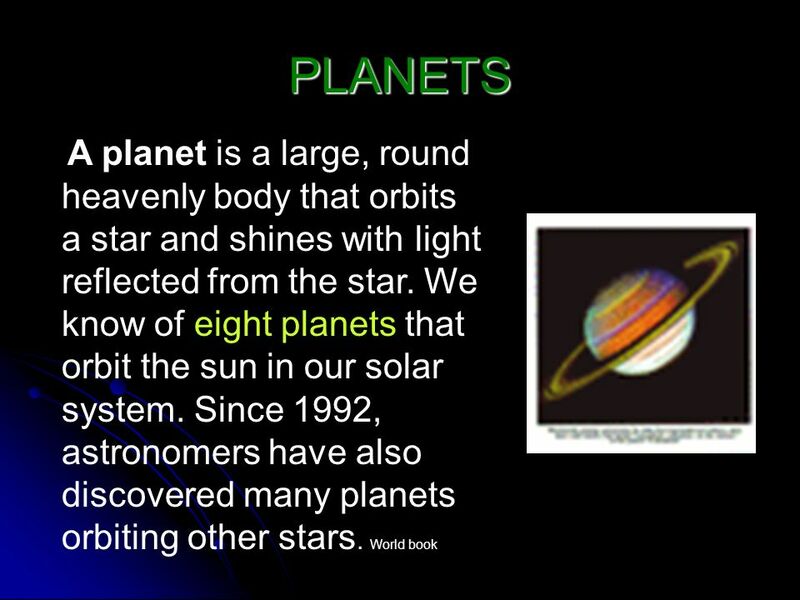 4 What are the eight planets? Mass: 6,600,000,000,000,000,000,000 (6.6 sextillion) tons (6.0 sextillion metric tons). Surface features: Highest land—Mount Everest, 29,035 feet (8,850 meters) above sea level. Lowest land—shore of Dead Sea, about 1,310 feet (399 meters) below sea). Temperature: Highest, 136 °F (58 °C) at Al Aziziyah, Libya. Lowest, °F (-89.6 °C) at Vostok Station in Antarctica. Average surface temperature, 59 °F (15 °C). 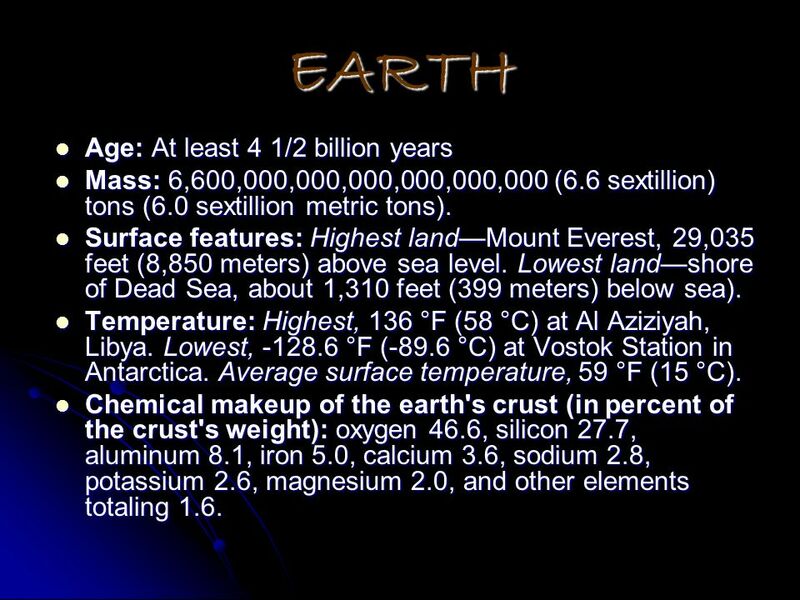 Chemical makeup of the earth's crust (in percent of the crust's weight): oxygen 46.6, silicon 27.7, aluminum 8.1, iron 5.0, calcium 3.6, sodium 2.8, potassium 2.6, magnesium 2.0, and other elements totaling 1.6. 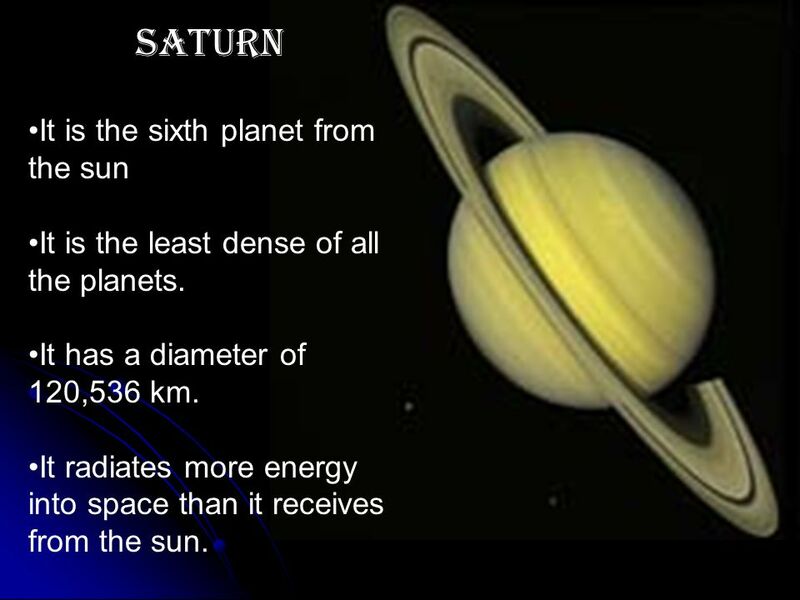 9 MARS It is the fourth planet from the sun. 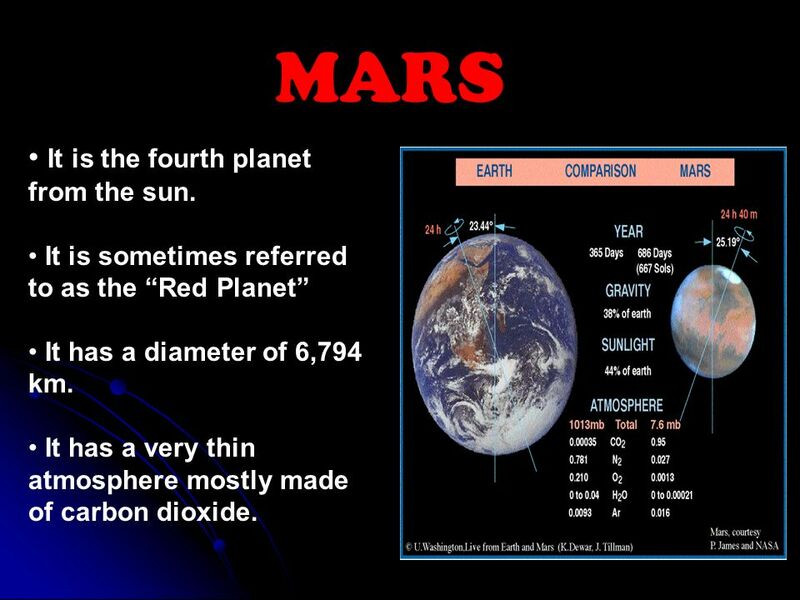 It is sometimes referred to as the “Red Planet” It has a diameter of 6,794 km. 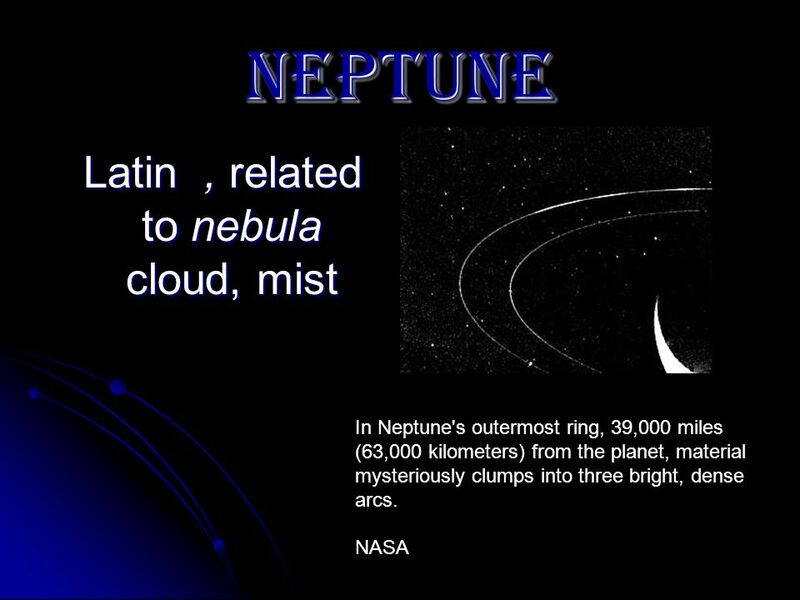 It has a very thin atmosphere mostly made of carbon dioxide. 10 What is this planet called? 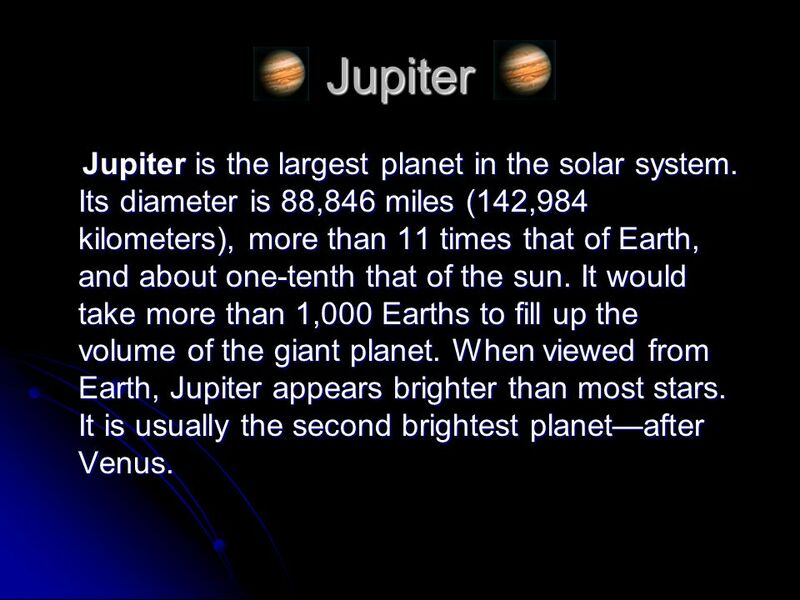 11 Jupiter Jupiter is the largest planet in the solar system. Its diameter is 88,846 miles (142,984 kilometers), more than 11 times that of Earth, and about one-tenth that of the sun. It would take more than 1,000 Earths to fill up the volume of the giant planet. When viewed from Earth, Jupiter appears brighter than most stars. 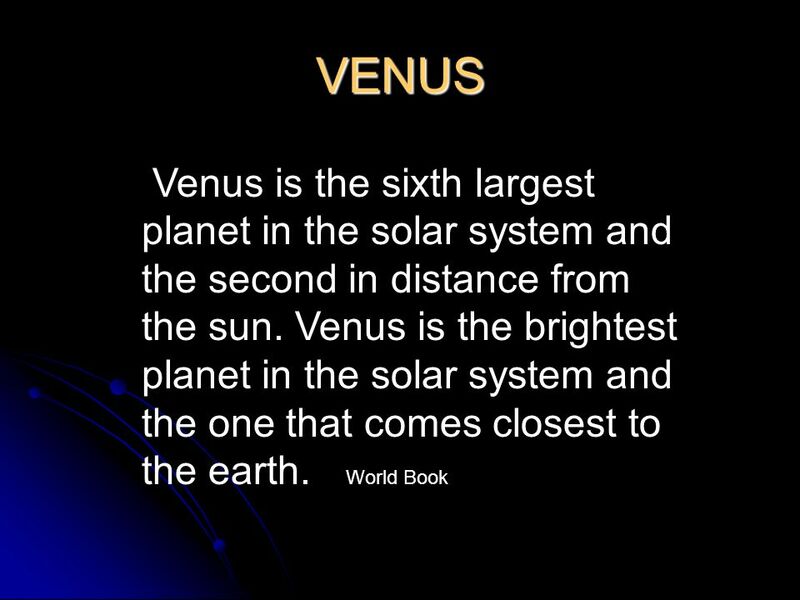 It is usually the second brightest planet—after Venus. It is the least dense of all the planets. 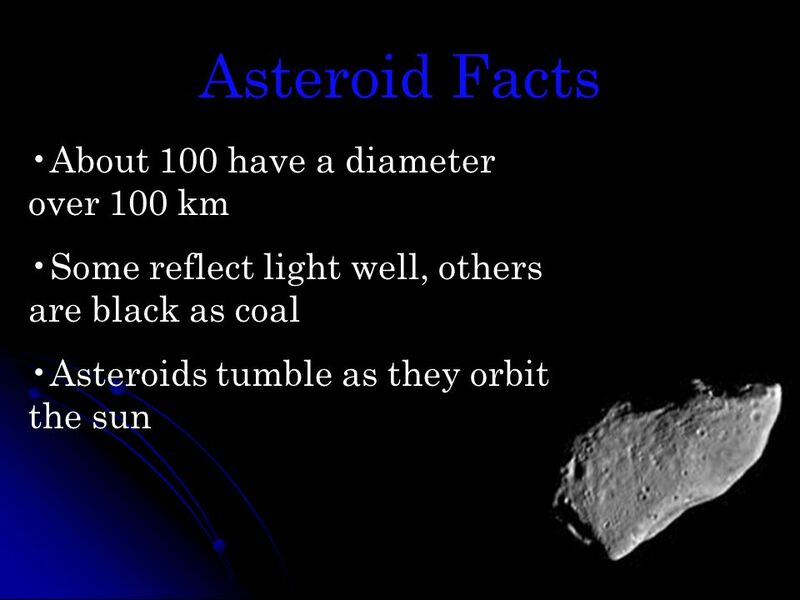 It has a diameter of 120,536 km. It radiates more energy into space than it receives from the sun. 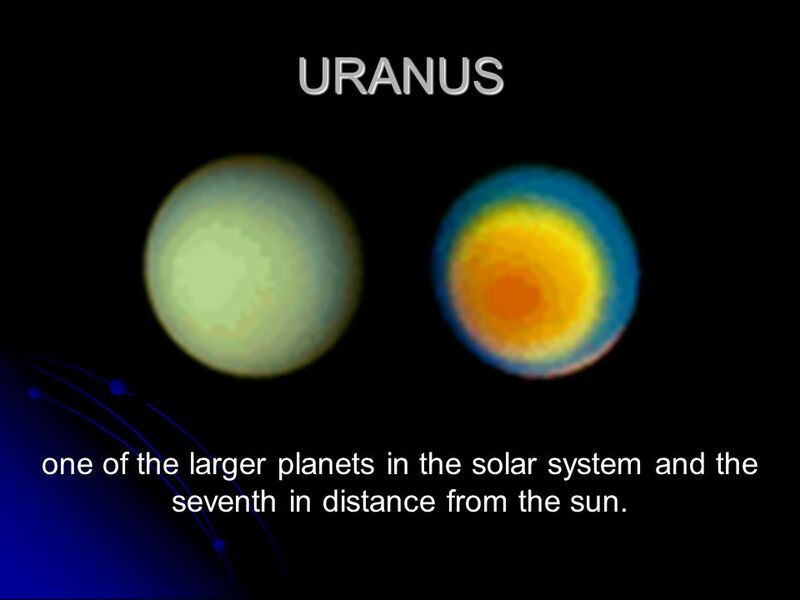 14 URANUS one of the larger planets in the solar system and the seventh in distance from the sun. 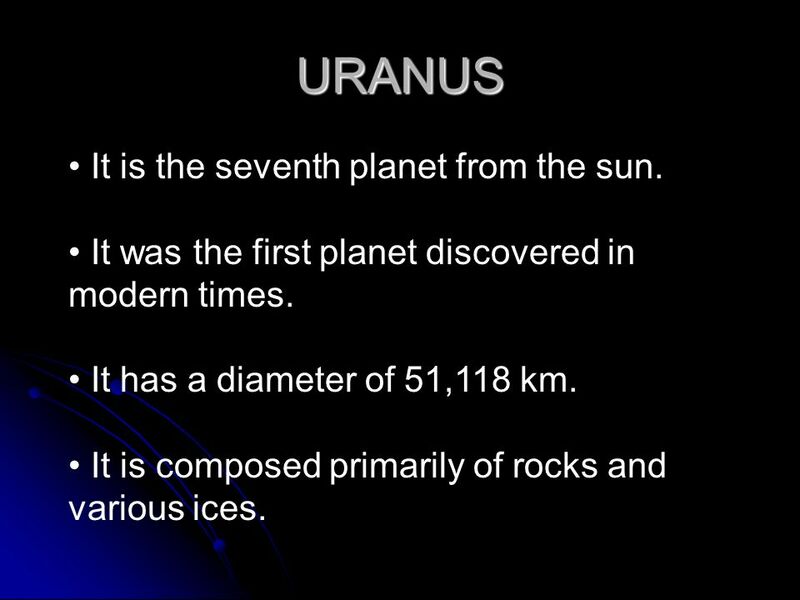 15 URANUS It is the seventh planet from the sun. 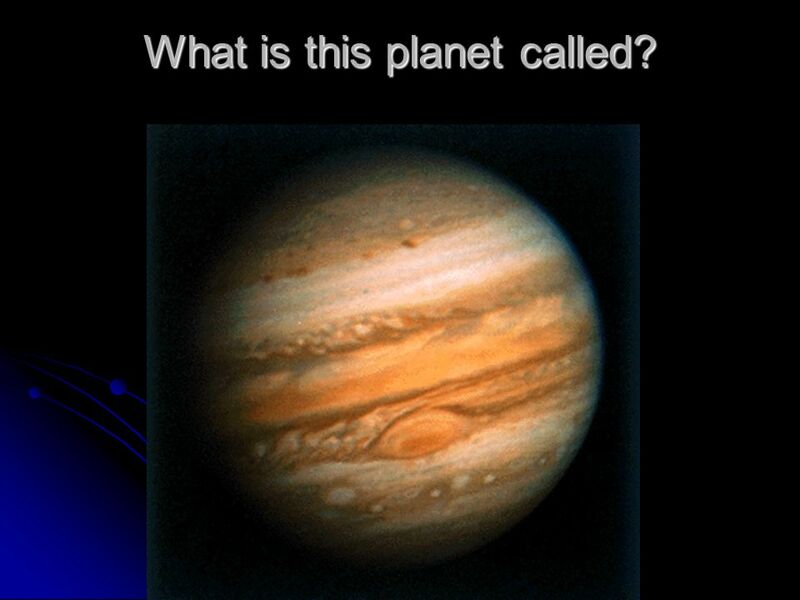 It was the first planet discovered in modern times. It has a diameter of 51,118 km. It is composed primarily of rocks and various ices. 17 NEPTUNE It is the eighth planet from the sun. It has a diameter of 49,532 km. It is mostly composed of various ices. 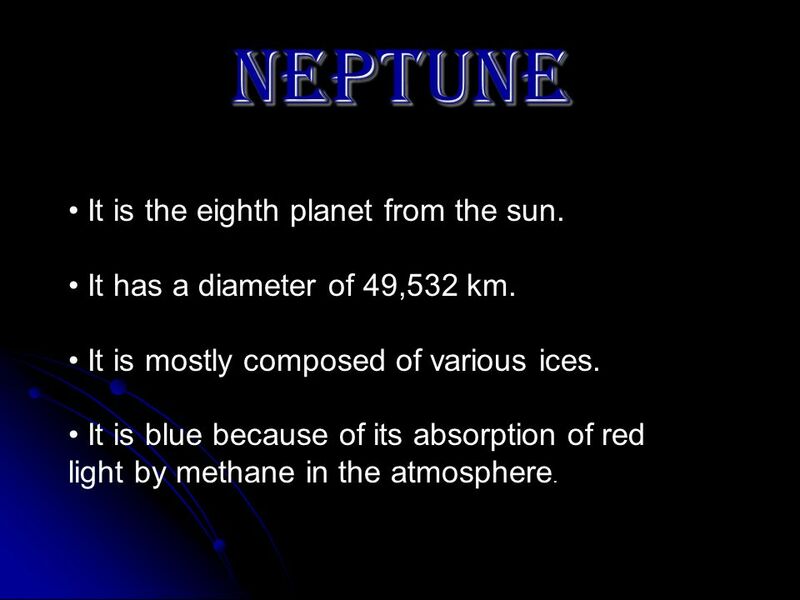 It is blue because of its absorption of red light by methane in the atmosphere. 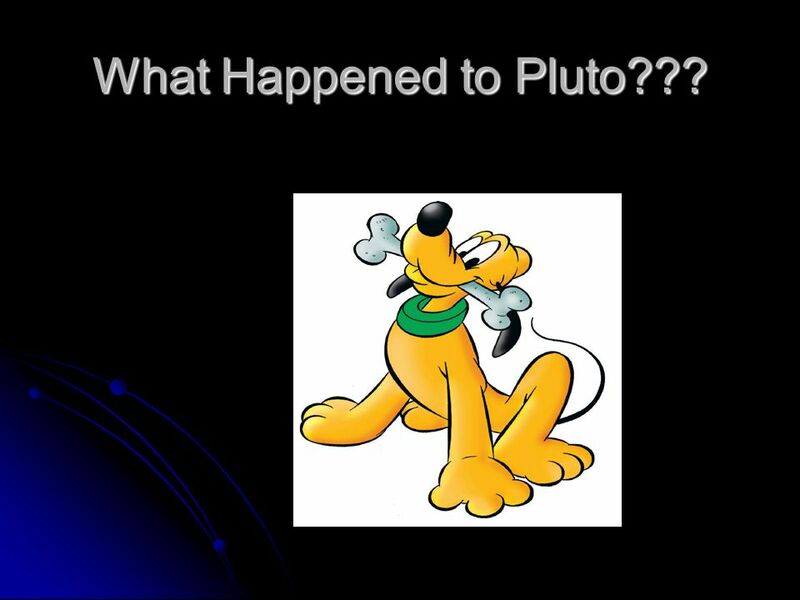 18 What Happened to Pluto??? 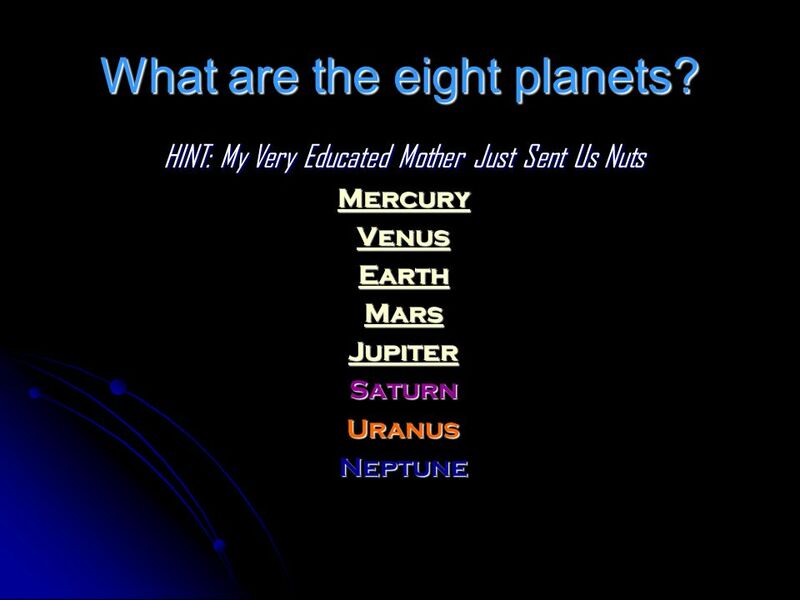 19 PLUTO Is Pluto a planet? 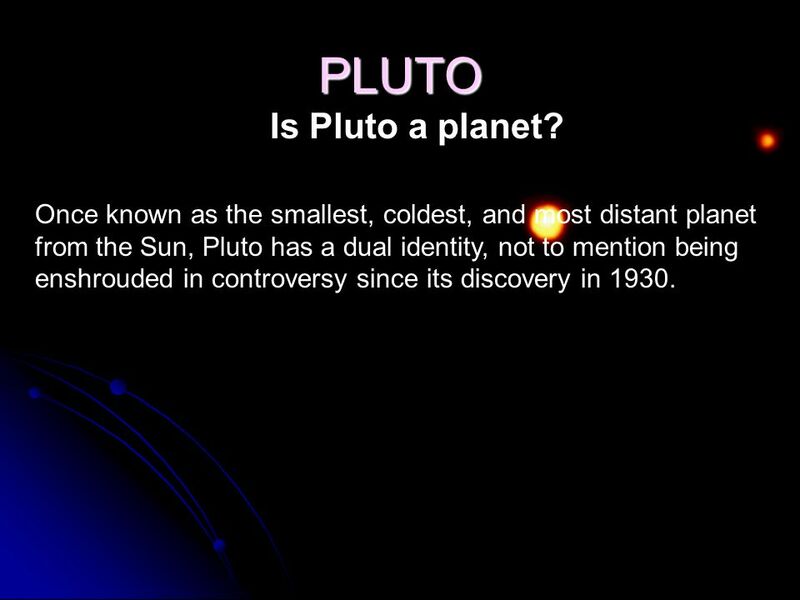 Once known as the smallest, coldest, and most distant planet from the Sun, Pluto has a dual identity, not to mention being enshrouded in controversy since its discovery in 1930. 20 Pluto ???? 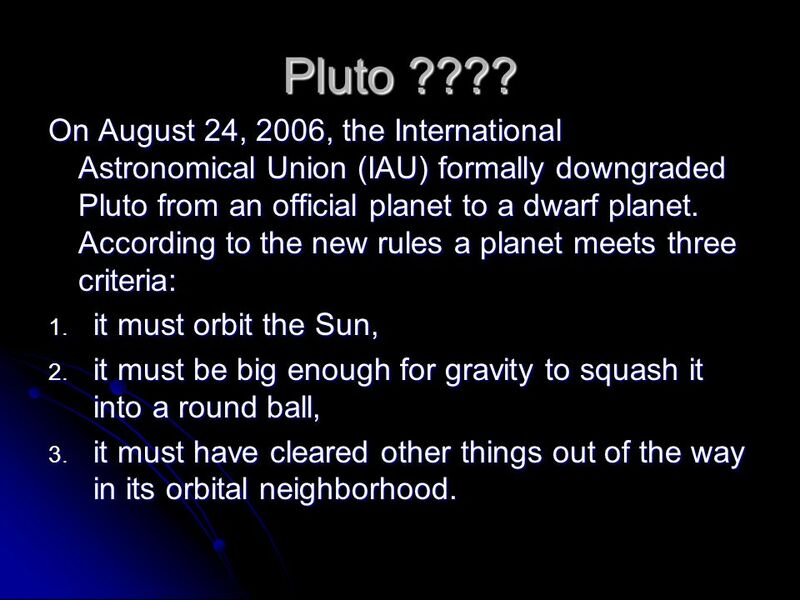 On August 24, 2006, the International Astronomical Union (IAU) formally downgraded Pluto from an official planet to a dwarf planet. According to the new rules a planet meets three criteria: it must orbit the Sun, it must be big enough for gravity to squash it into a round ball, it must have cleared other things out of the way in its orbital neighborhood. 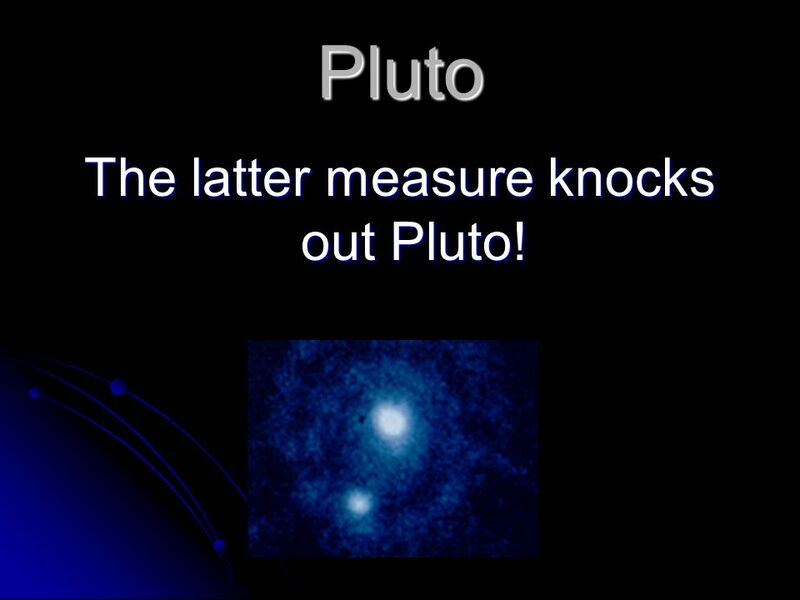 21 The latter measure knocks out Pluto! 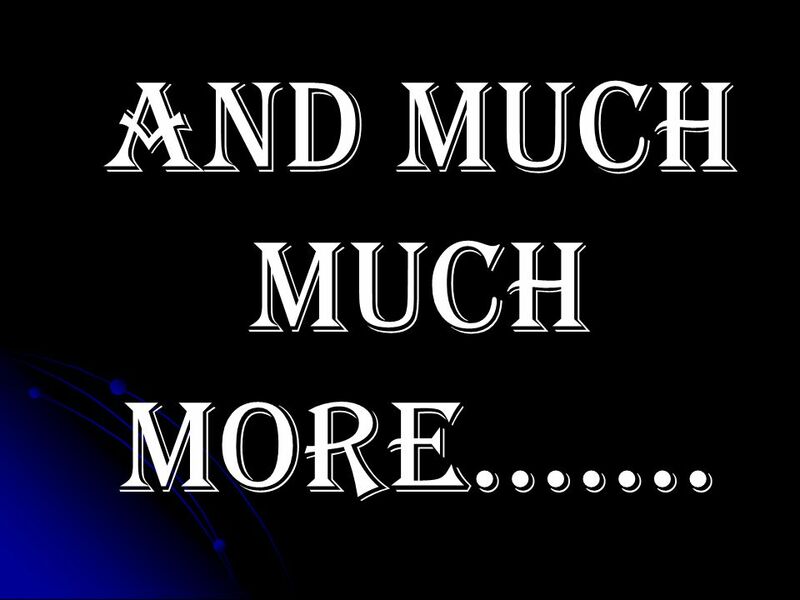 22 AND MUCH MUCH MORE……. 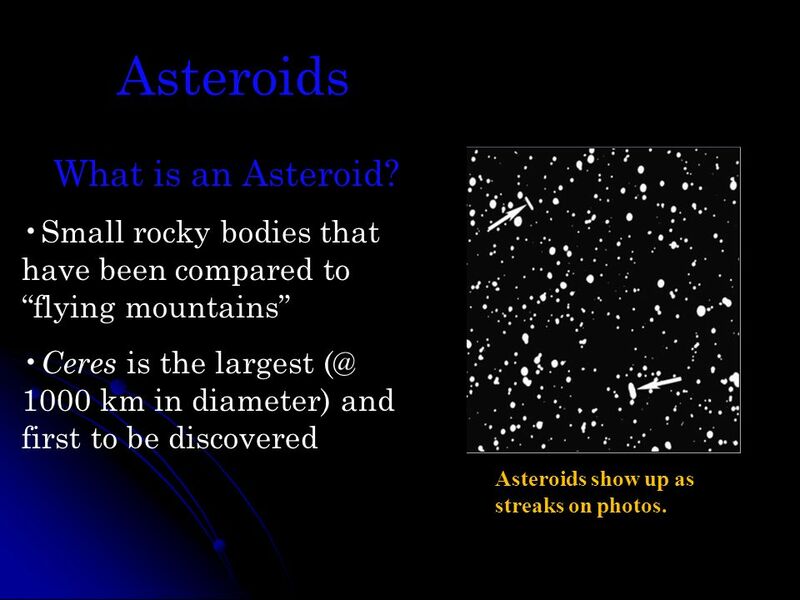 23 Asteroids What is an Asteroid? Small rocky bodies that have been compared to “flying mountains” Ceres is the largest 1000 km in diameter) and first to be discovered Asteroids show up as streaks on photos. 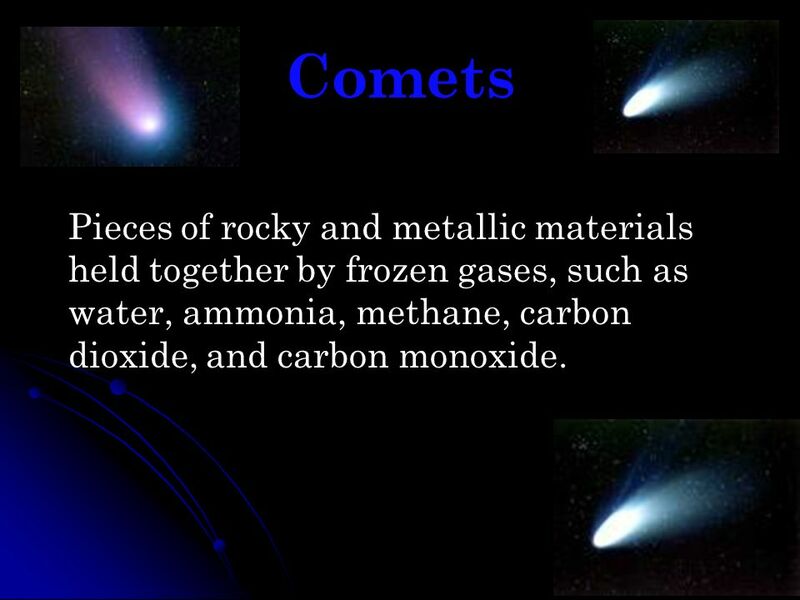 27 Comets Pieces of rocky and metallic materials held together by frozen gases, such as water, ammonia, methane, carbon dioxide, and carbon monoxide. 28 Halley’s Comet In Sir Edmond Halley hypothesized that the comets of 1456, 1532, 1607, 1682 were the same object. He calculated a 75.7 year orbit and predicted that it would return in 1758. Halley died; but comet returned. 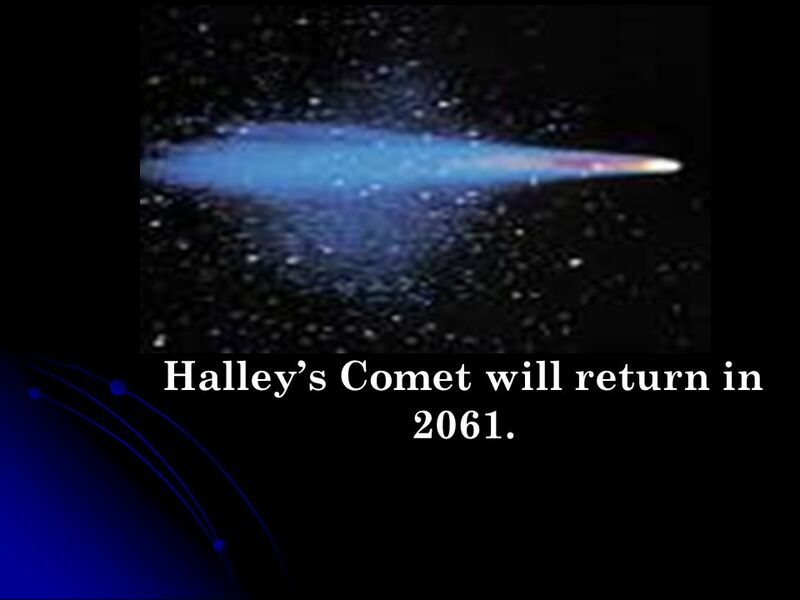 29 Halley’s Comet will return in 2061. 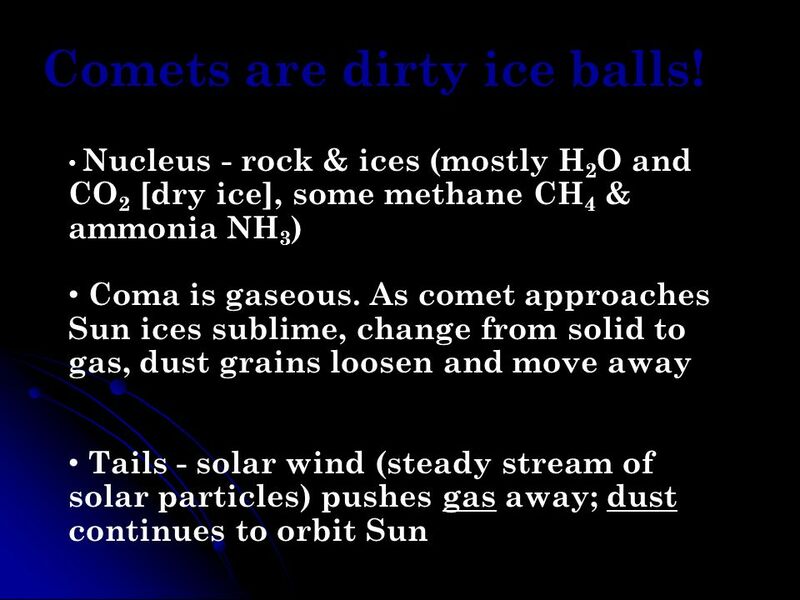 30 Comets are dirty ice balls! 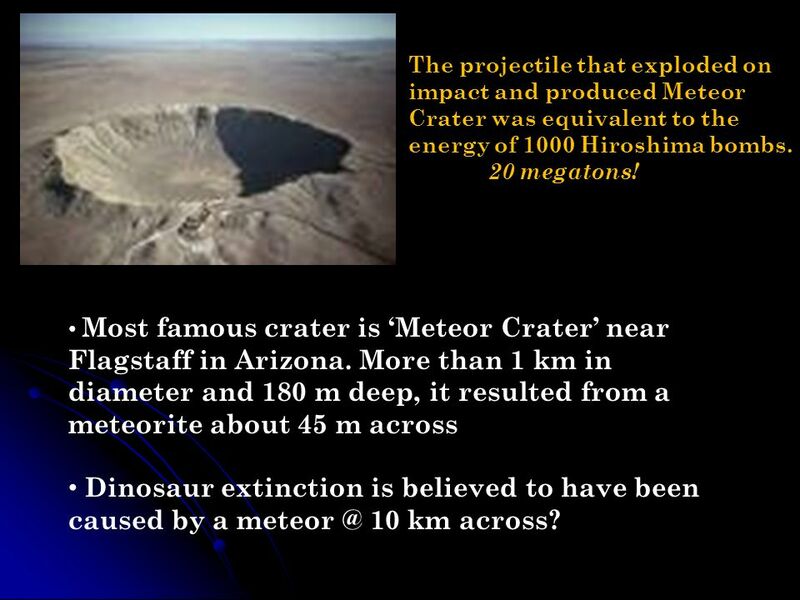 33 The projectile that exploded on impact and produced Meteor Crater was equivalent to the energy of 1000 Hiroshima bombs. 20 megatons! Most famous crater is ‘Meteor Crater’ near Flagstaff in Arizona. More than 1 km in diameter and 180 m deep, it resulted from a meteorite about 45 m across Dinosaur extinction is believed to have been caused by a 10 km across? 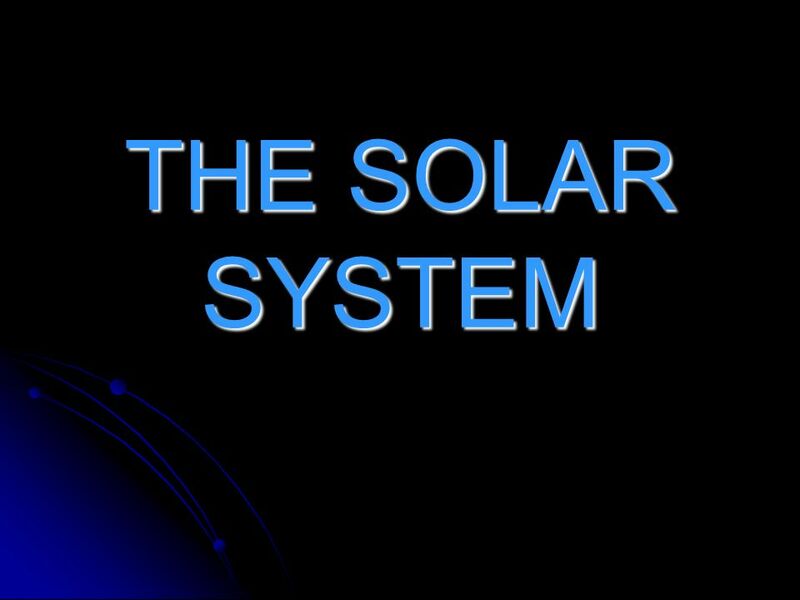 Download ppt "THE SOLAR SYSTEM." 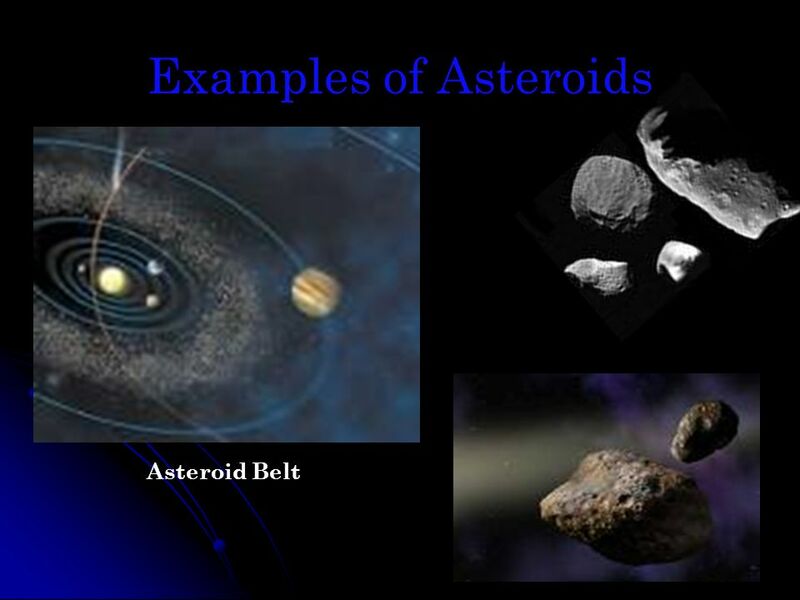 Asteroids, Meteroids, and Comets…Oh my! A STAR, EIGHT PLANETS, & ONE DWARF MRS. MYERS 2014. 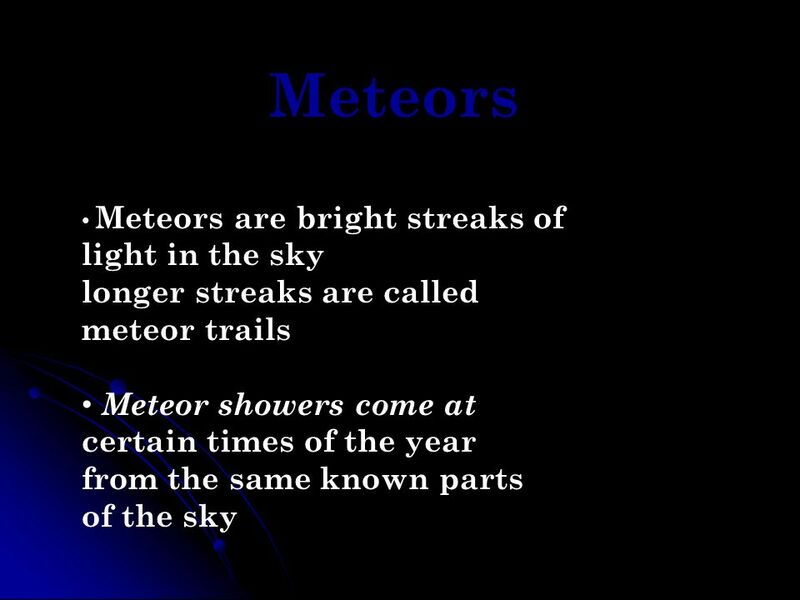 Comets & Meteors Asteroids & their Belt Outer Planets Dwarf Planets Far Out! The Solar System By: Seemani Dash. 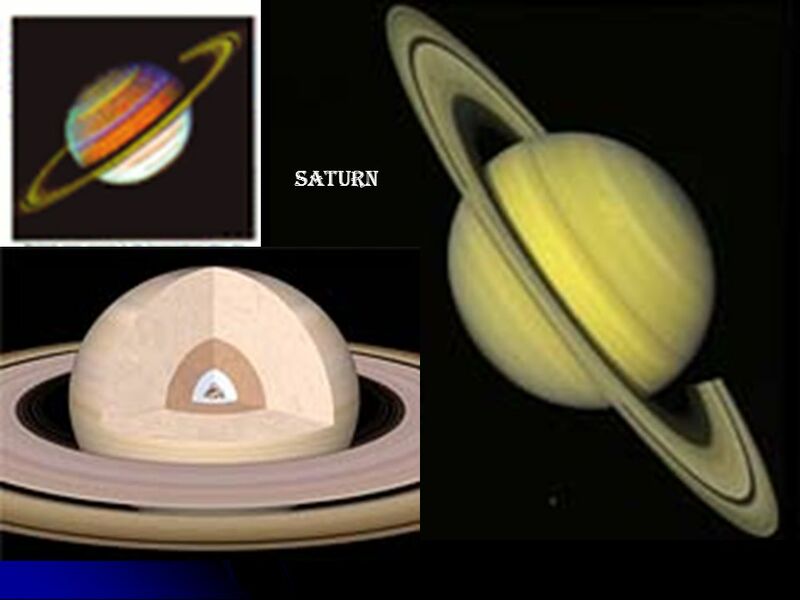 Solar System Our solar system has 8 planets and a dwarf planet, so we have 9 planets in all. Our sun is in the middle of the solar system. By Courtney. 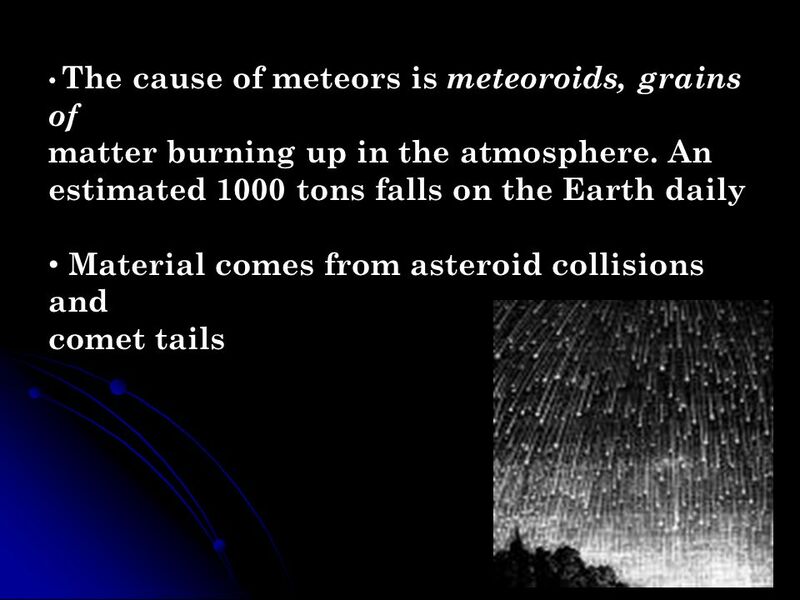 What are comets? 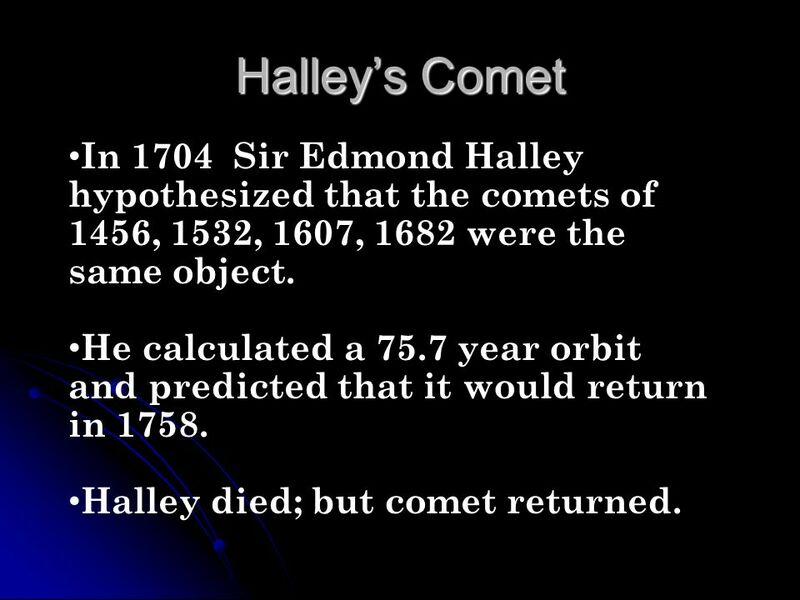 In 1704 Sir Edmond Halley hypothesized that the comets of 1456, 1532, 1607, 1682 were the same object. He calculated a 75.7 year orbit. 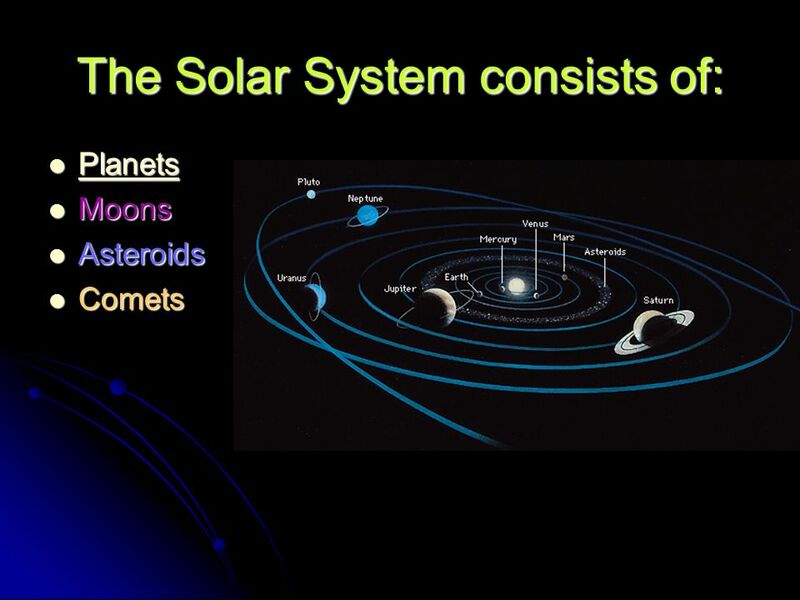 OUR SOLAR SYSTEM Our solar system is nearly 5 billion years old. 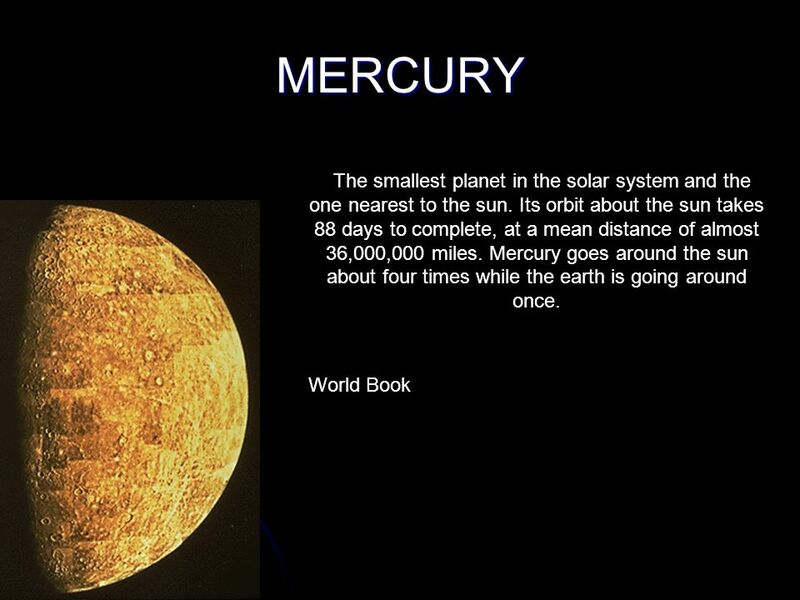 Solar System Fun Facts and Vocabulary ©2012HappyEdugator. Solar System by Katonya Beaubouef 1. The Solar System By Julie Dort. 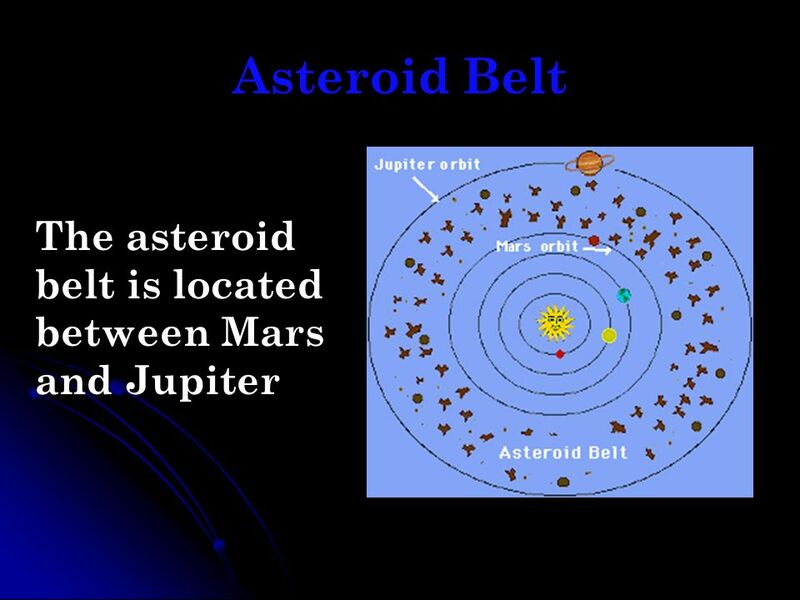 The Solar System n Our solar system consists of: the sun n the nine planets (and their moons) n It also has an asteroid. 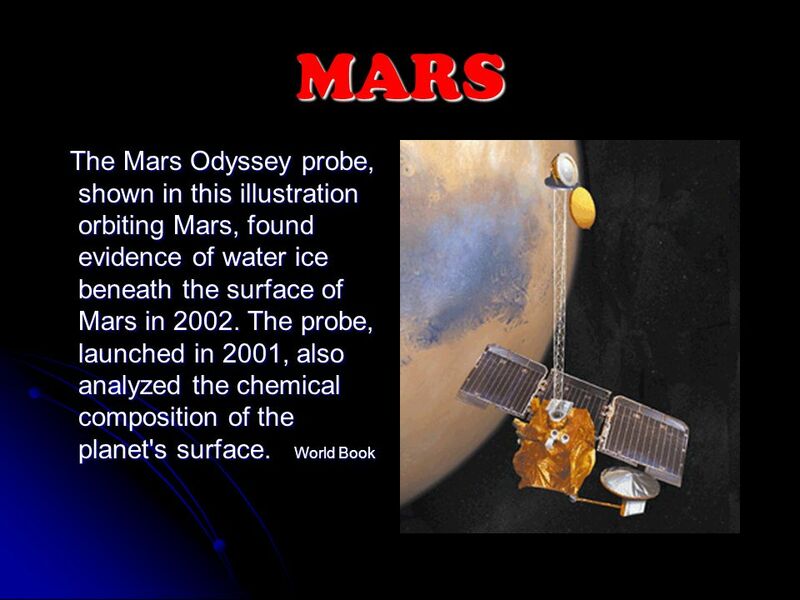 Unit 2 Lesson 1 What Objects Are Part of the Solar System?